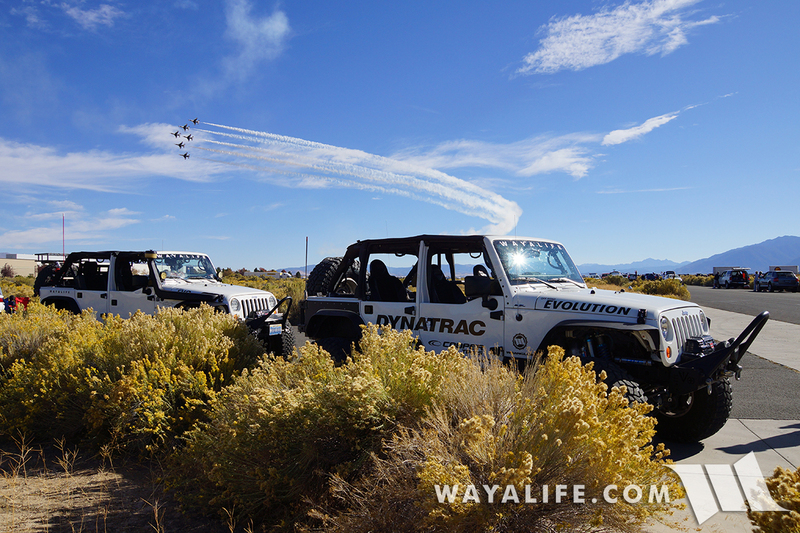 Last week, Cindy and I took some time off to do some exploring in one of most remote regions of Northern Nevada. Along the way, we found ourselves on an old stage route that crossed over a mountain range and one that hadn’t been used by anything in years. Because of it, the trail was thick with overgrown trees and brush and while navigating it wasn’t really difficult per se, it was slow going for sure. Close to the top, the trail did open up on one side but only because it became a rutted out, narrow and off camber shelf road. Of course, the trees on the safe side were still just as overgrown and that made it difficult to not to push your way into them, on purpose and in an effort to stay on the trail. Needless to say, it was impossible to see low hanging and thick branches hidden by the foliage and just waiting to lance a sidewall. And, as luck would have it, that’s exactly what happened to one of our brand new 40″ Cooper STT Pros. I should note that before the tire failed, I could feel a considerable amount of resistance from the tree when I was trying to push my through it and had I just stopped, gotten out and given things a look, this failure could have been prevented. Granted, the only way to get around the branch would have been to cut it off and that’s ultimately what we still had to do but had we taken the time to do that before hand, we would have saved our tire. 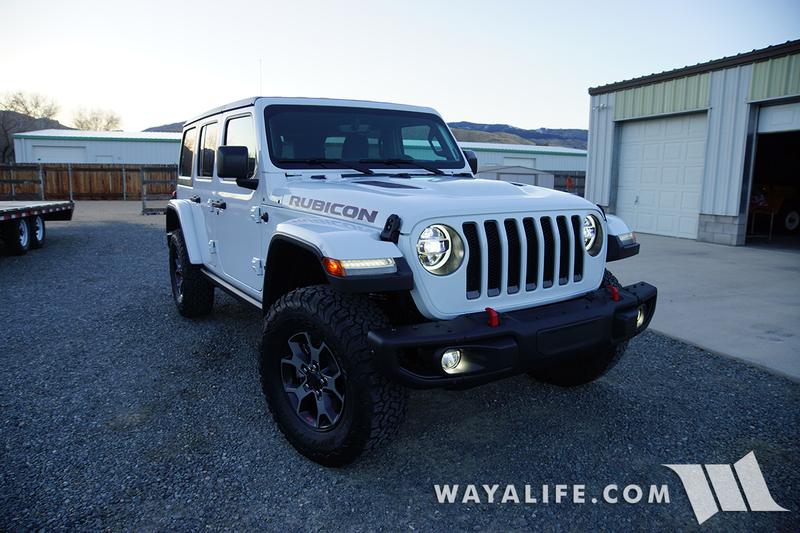 Because most of the trail was relatively smooth and easy, we didn’t bother to air down like we should have and I’m sure that played a role in the dramatic way the sidewall failed. Of course, being that the 40″ STT Pros are just a Load Range C, I’m sure that didn’t help anything either but really, I don’t think any tire out there would have survived an assault like this. 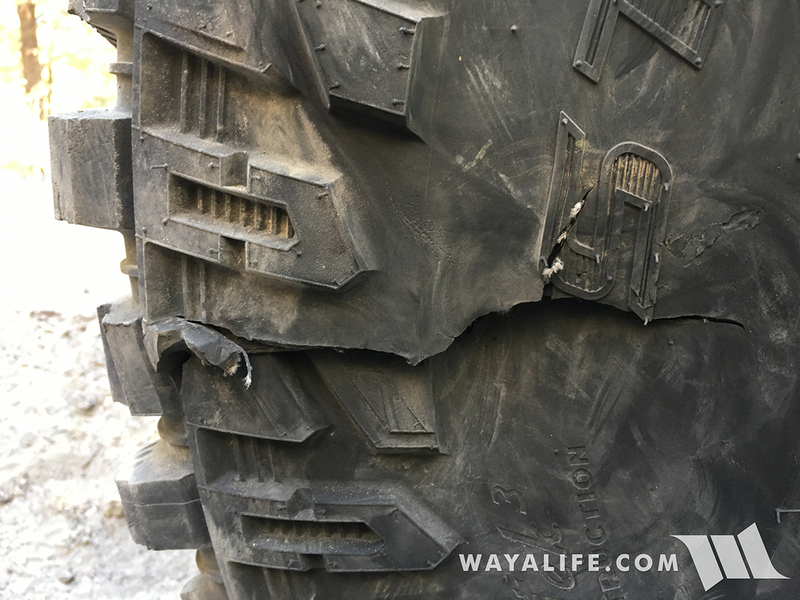 Certainly, we have personally seen failures just like this happen on a host of other tires we’ve run in the past including our last set of Nitto Trail Grapplers and while it was disappointing to see, there’s still way more that we love about these tires than not. And, unless sidewall damage becomes an ongoing problem for us, these new Cooper STT Pros will still be a tire that we would recommend. Anyway, just trying to keep it real and keep you all in the know as to what we’re seeing and experiencing. 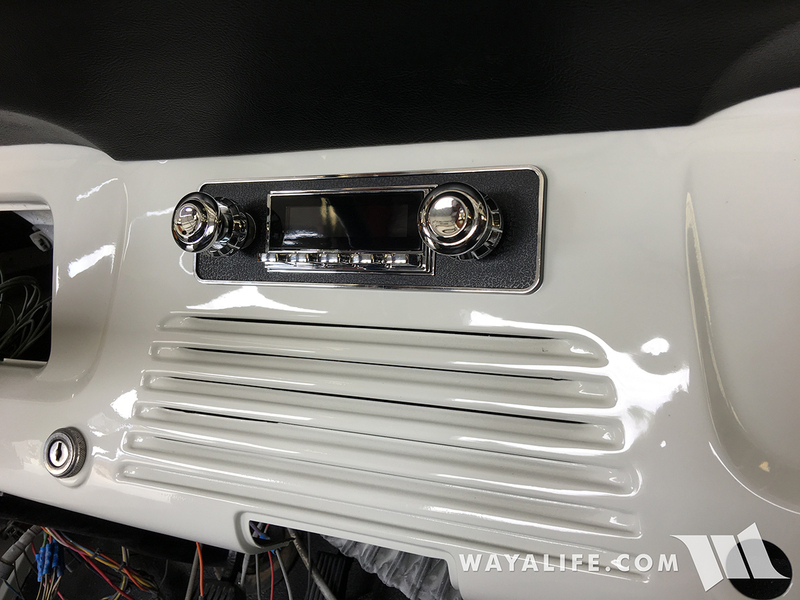 Previous story A Jeep 2500 Pickup Truck Coming in the Future? sorry one of the new meats got speared like a kabab ! It would be pretty cool -if masochistic – to see photo of The Impaler stick. It musta been cedar if it was stout enough to go thru the side of those mean tires. You are correct that any tire woulda likely seen itself run-thru if it was that severe. What do ya do, buy another tire ? I have just order some KMC Machete Bead Locks and it will be my first time installing tires on bead locks. 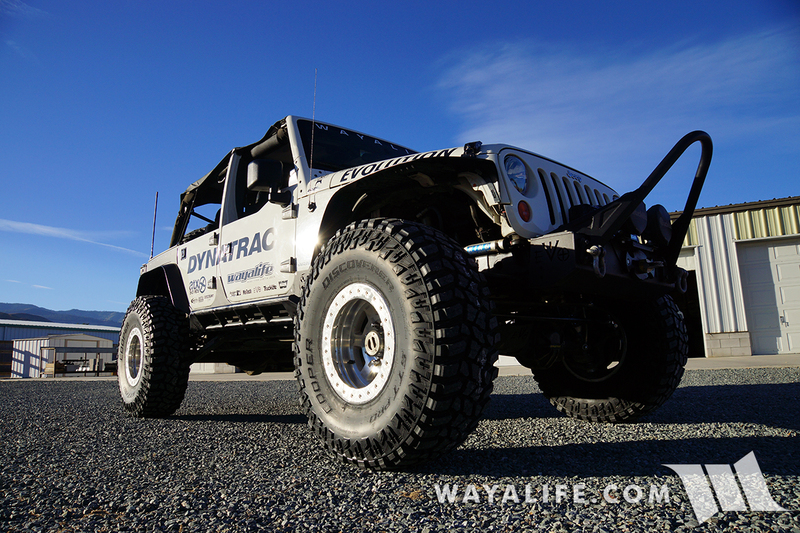 After reading your review of these tires I am now wanting a set of 37/13.5r17 to tryout. Should I expect a struggle with the beads of the tires while installing them on these particular wheels? Any tire can be tough to install on a beadlock but ones with a load range E can be a bit more of a challenge. Most 37×13.50’s are load range E.